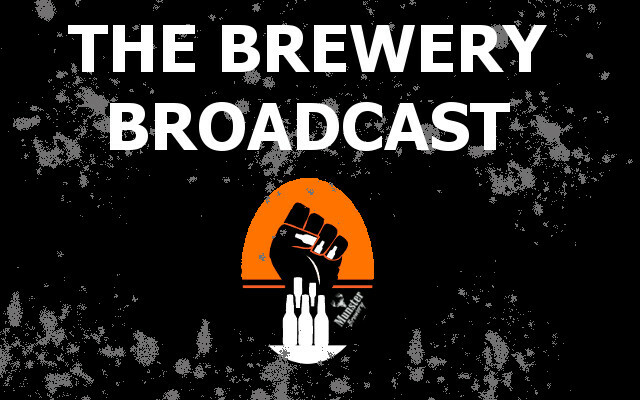 After a ton of suggestions to our ‘Your Town, Your Beer, You Name it’ competition, we (just about) managed to whittle it down to a single suggestion. The winning entry was 12 Towers, a subtle nod to the 12 Towers that once dotted the historic town walls of Youghal. As the longest existing town walls in the Republic, it’s fascinating to stroll along their length and wonder at times past. 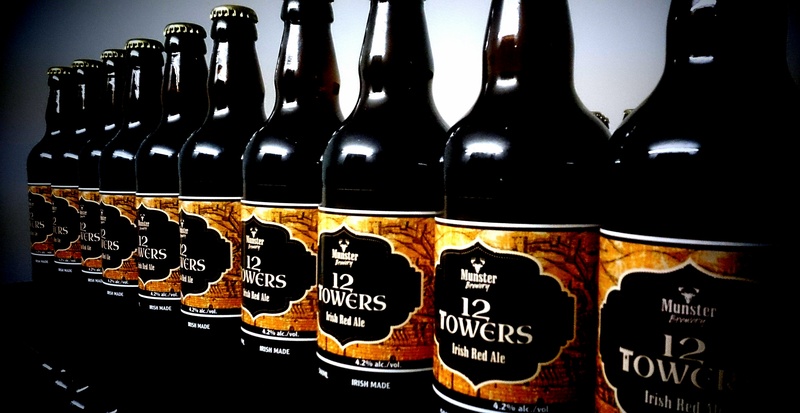 As a name, 12Towers was everything we were looking for. 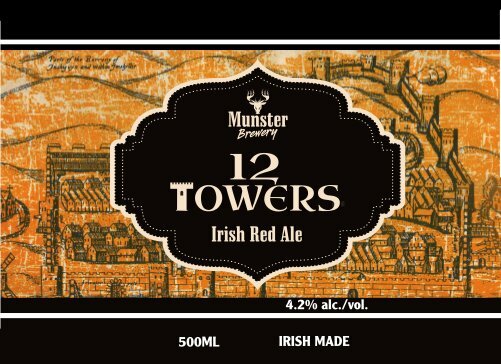 Classy (we’re easily impressed), it was linked to Youghal, its history, its amenities and strange enough to prod a musing as to “why 12Towers for a beer name”? 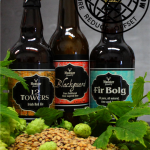 After all, we wanted to promote our home town with this beer, with bottles being sent to far flung corners of the nation. We went with this name because straight away we had this image of an old medieval map of Youghal as the backdrop for the label. During medieval times, Youghal was THE place to be – a port so busy that it surpassed in importance even Cork city. It had a university, college and super important people coming and going. 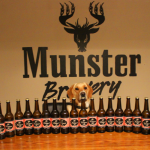 And who of them woulda thought we’d be sticking a map of Youghal from 1600 on a bottle of beer in 2015? 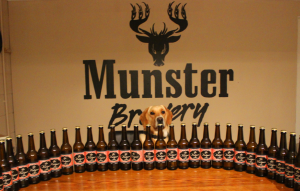 We’re really excited about his – our 3rd beer. 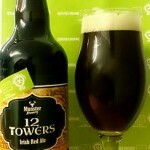 This is our first ale, and to boot, it’s an Irish Red Ale. 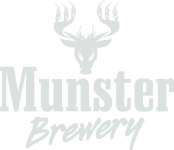 With hints of plum and raisin and a slight roasted finish, carefully selected earthy hops are used to compliment the finest Irish ale malt base combined with Maris Otter and roasted barley. 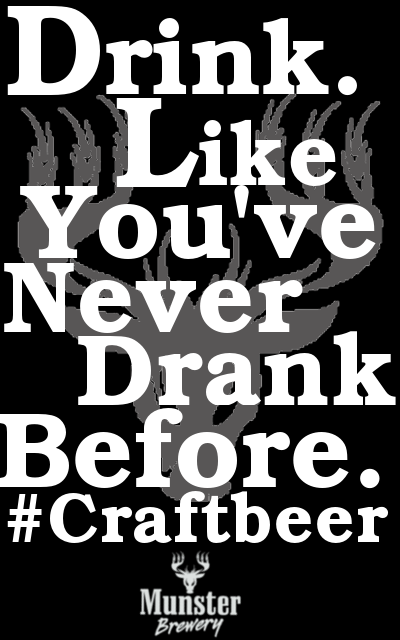 At 4.2%, it’s a sessionable ale, one that’s brewed to be easy drinking and it goes well with either meat or fish.